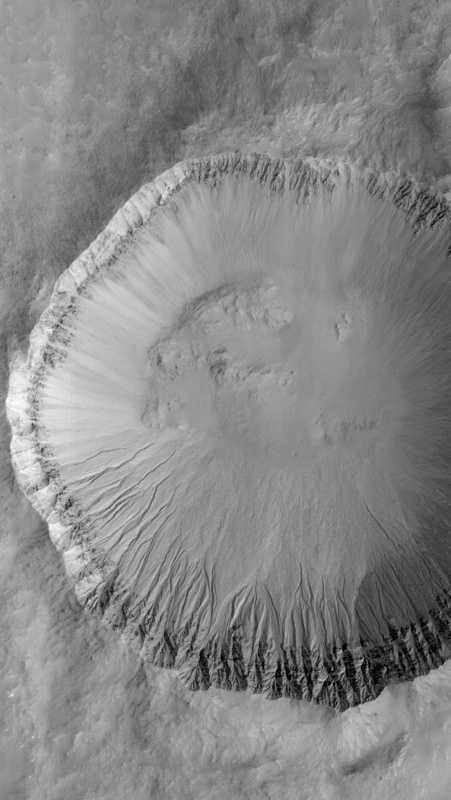 This image covers a location that has been imaged several times to look for changes in gullies. 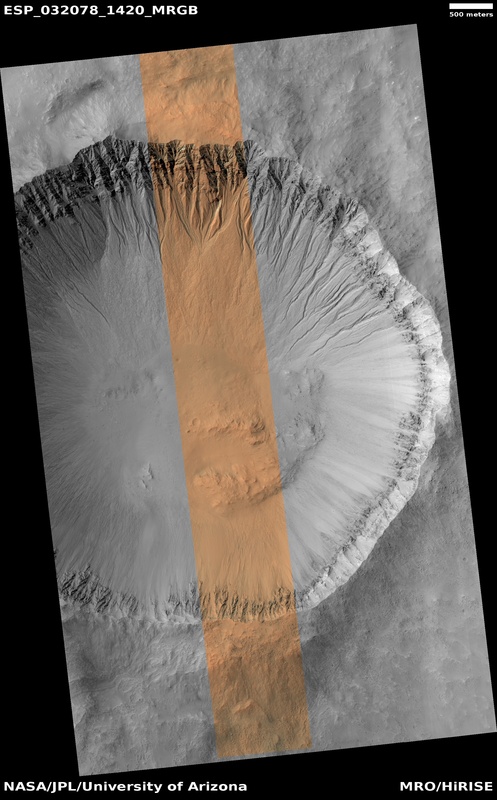 The cutout shows a comparison between the first HiRISE image of the location and one of the more recent views. 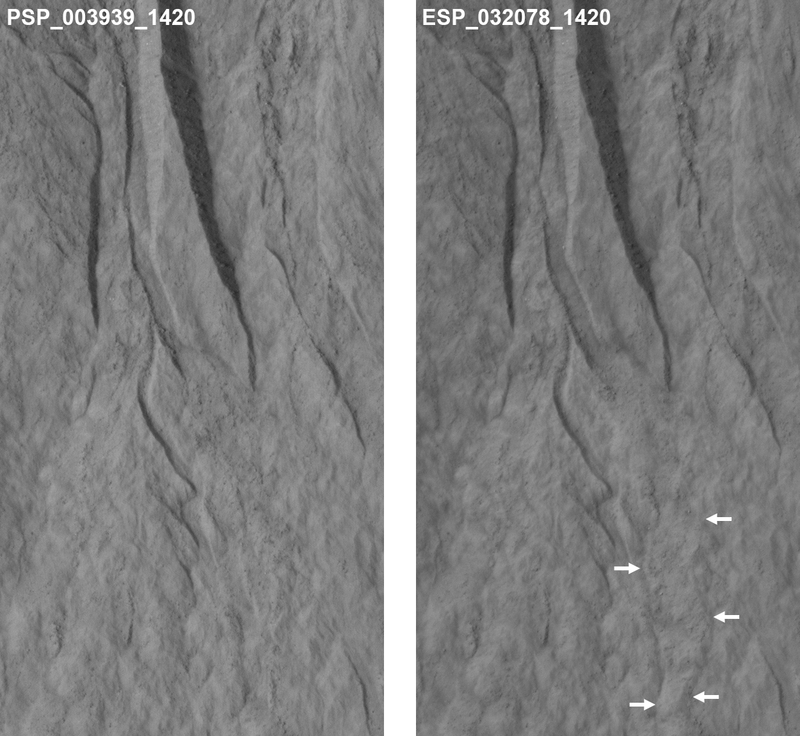 A lobate, rubbly flow (noted by the arrows) has been deposited near the mouth of the channel between the time of the two images. 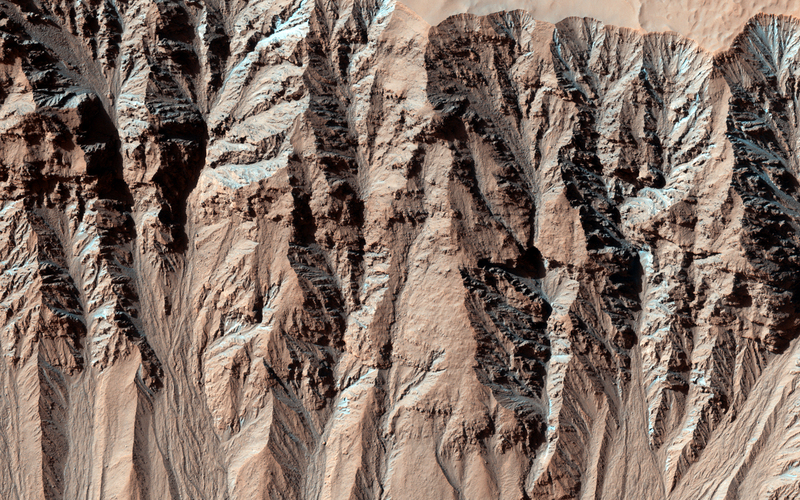 Further up the slope, the channel system has been modified by both erosion and deposition. 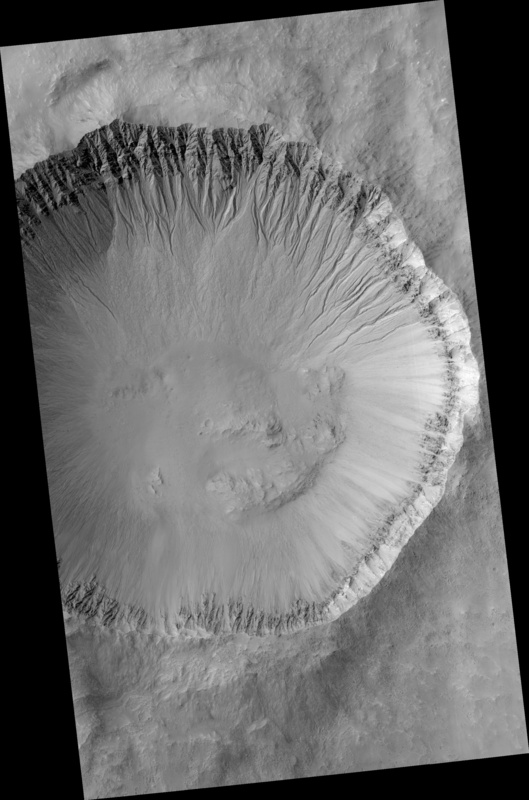 Other images can pin down the timing of this flow more precisely, but it is easier to see the changes between these two because the lighting is similar. Changes have now been seen in many gullies on Mars, and show that these landforms are evolving rapidly. The timing of the changes is often in winter or early spring, suggesting that they are caused by the carbon dioxide frost that forms in and around most gullies every year. Each of the cutouts is 150 meters (164 yards) wide, and only shows the bottom of the gully channel. 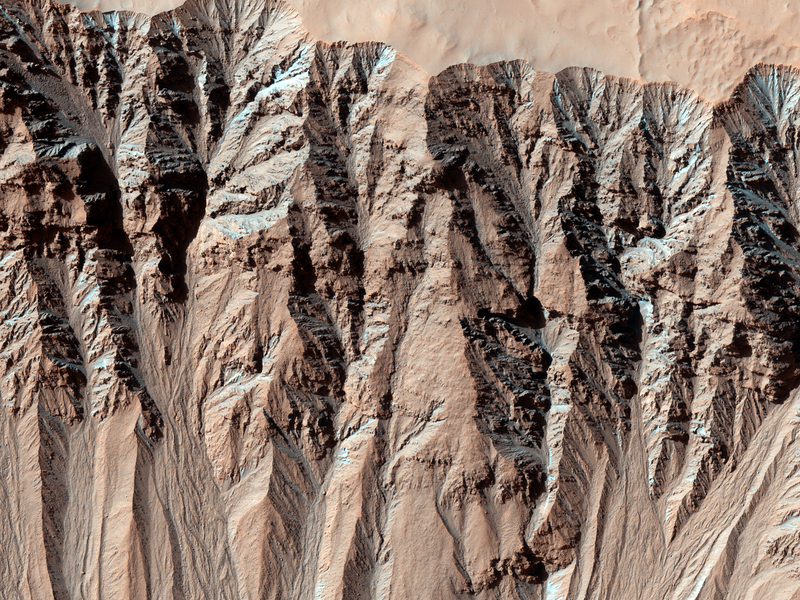 Try looking at the whole gully in both images using HiView—how far up can you find changes?